Safebrowsesearch.com is not safe at all. Actually it is the opposite of safe — it is somewhat dangerous and we have classified it as a browser hijacker, because this is exactly what this search engine does. It can replace your browser’s homepage without your knowledge or consent. So if your browser has this infection and you want to remove, then we invite you to consult the removal instructions located at the bottom. In this article, however, we have included all of the most important information regarding this browser and we hope that it will be of some use to you. So let us begin by talking a look at where this hijacker comes from. This hijacker was released by a well-known malware developer known as Imali Media Ltd. this developer is also responsible for creating other browser hijackers that include Thecoolestmoviesearch.com, Search.newtabtvsearch.com and a few others. Furthermore, this software developer has also released a Chromium-based web browser called Internet Quick Access. Imali Media’s website at Imali.media states that this company is in the business of we monetization. Web monetization involves attracting and often redirecting web traffic to a given website. Therefore, it can be said that your homepage is replaced with Safebrowsesearch.com in order so someone to make money. So as you can see, this browser hijacker comes from an unreliable software developer that has no regard for the average Internet surfer. Now let us go into some details about Safebrowsesearch.com. 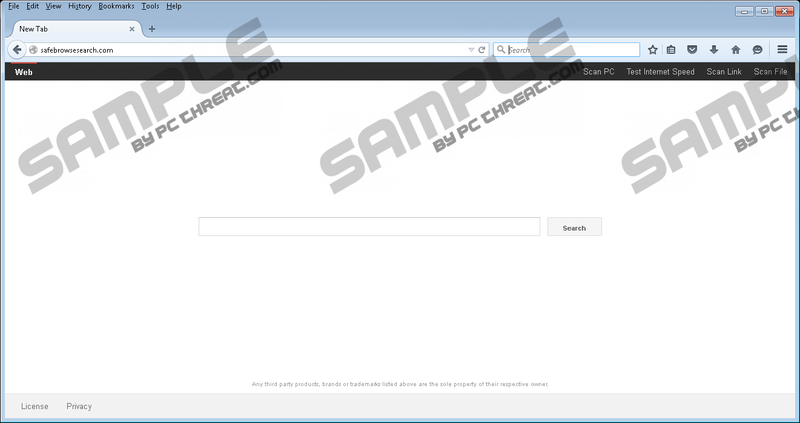 This hijacker does not have a dedicated program or browser extension that could manage the hijacked browser. Instead, this browser hijacker depends on the installer it comes bundled with to inject it into a browser during the installation. The whole process is done automatically, so you do not have a choice in the matter. However, this browser hijacker is not very malicious as it can easily be deleted via the browser settings by simply changing the homepage address. Safebrowsesearch.com is known not to have any registry entries or to modify the browser shortcut Target line. So we are quite confident that you will not have problems getting rid of it. You ought to eliminate it not only because it enters your computer silently and modifies your browser, but also because of the fact that if you use it for searching for information, then you may expose yourself to malicious content. Due to the fact that Safebrowsesearch.com main purpose is to make money by including promotional links and advertising inside its search results you may be subjected to untrustworthy content. This content can range from misleading advertisements that promote malicious software to fake online shopping websites that can obtain your credit card information. Therefore, you should always use a trusted search engine that filters its results and excludes known malicious websites. Safebrowsesearch.com on the other hand is likely to promote anyone willing to pay the advertising fees. So do not hesitate and remove this infection as soon as the opportunity arises. Note that we have provided you with a removal guide in case you do not know how to get rid of an unwanted search engine. Type a new homepage address. Find the On Startup list and click Set pages. Quick & tested solution for Safebrowsesearch.com removal.